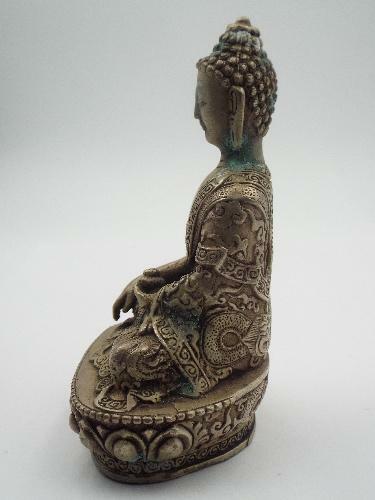 An extraordinary rare and beautiful Buddhist artifact from Nepal. 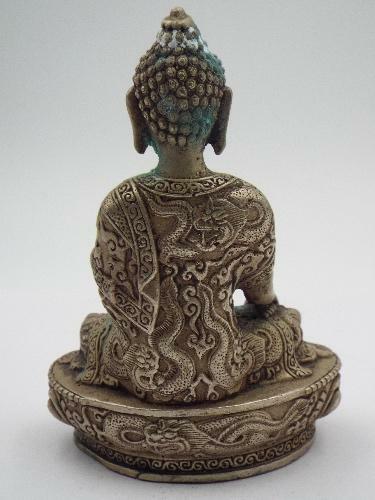 The pose is known as the 'Calling the Earth to witness' Symbolizing when Buddha attains spiritual enlightenment. 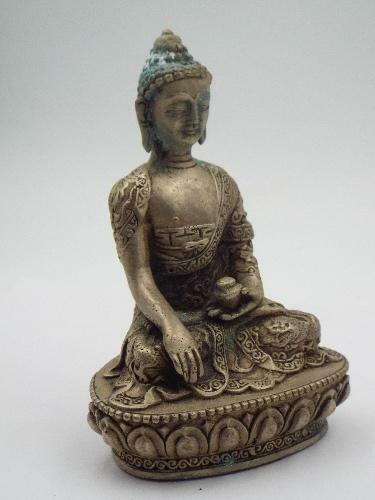 The statue depicts the Buddha in his 'Winter Wear' heavier and larger vestments. 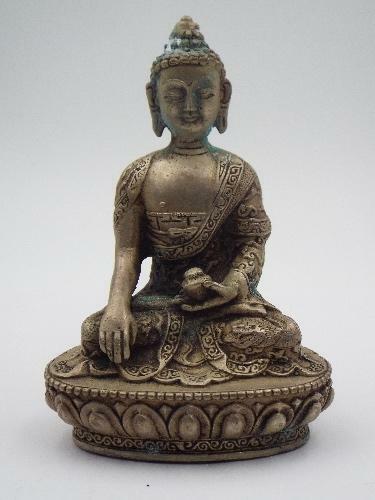 Origin: Nepal, Material Bronze Alloy, Patina: complex brown with highlights of light brown. No cracks or repairs. Circa Early to Mid-Century, Age related wear Measurements: 11.5 x 7 x 5 inches, Weight: approx. 15 pounds. Bottom plate sealed with Nepalese hallmark. Certificate of authenticity included with purchase.